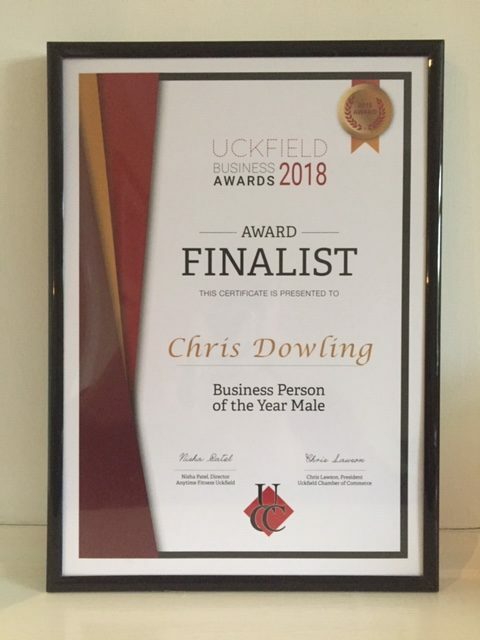 I was delighted to be amongst the finalists at last Thursday’s Uckfield Business Awards gala evening. The bi-annual event was held at the East Sussex National Hotel, Uckfield with over 300 guests attending. There were 15 different categories, covering a wide range of business sizes, types and people. I was pleased to be one of the three finalists in the ‘Business Person of the Year- Male’ category. It was great to be nominated back in the summer and then to be short-listed a few weeks ago as a finalist for the award. 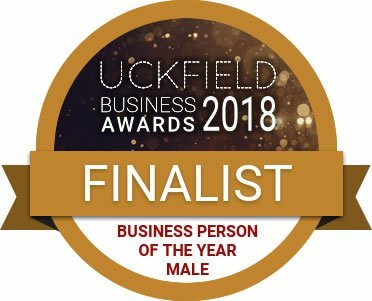 The recognition for me, my business and the business mentoring and support services I offer was great – quite literally in the spotlight in front of local businesses. Unfortunately, although I didn’t win – that honour went to Kevin Markwick, owner of Uckfield’s well known and independent cinema, The Picture House – I am very pleased to be a runner-up and to receive a certificate. It was an enjoyable evening and a great advert, showcasing Uckfield businesses and their diversity and success stories. Thanks to the organisers for a glittering and enjoyable evening: Uckfield Chamber of Commerce, Uckfield FM and The Marketing Eye. Thinking of starting your own business? Here are 5 of my top tips for setting off in the right direction. Every business needs a Business Plan, or does it?